Have you run out of motivation to work out? Is your gas tank empty? If so, we have some good news for you: you have options! When you lead an active lifestyle, it can be easy to get caught up in an all-or-nothing mentality. You get trapped in a place where you don’t want to work out, but you force yourself to do it anyway. While there’s nothing wrong with pushing through a short period of low motivation, if nothing changes, it’s time to make the change yourself. In our last blog, we went over the two first things you should do, including being kind to yourself and taking a break. Today, we’re going to give you two more tips! If taking a rest from working out stresses you out, you can keep your eye on the ball by using your hiatus to look at your goals. This is a fantastic way to break out of a workout rut and realize that your goals may have changed. The fitness work is full of different options, and reevaluating your goals will motivate you when you start working out again. Comfort zones got boring after a while, and that’s when your motivation tanks. Keep your eyes peeled for different types of workouts. Do your research and give them a try. Your body will benefit from the cross-training, and your mind will enjoy the new experiences. 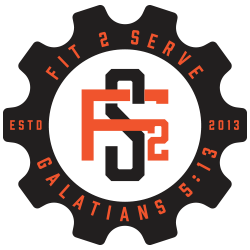 CrossFit 2 Serve is proud to provide a place where you can stay fit in order to help others. Contact us today or come in for a visit!